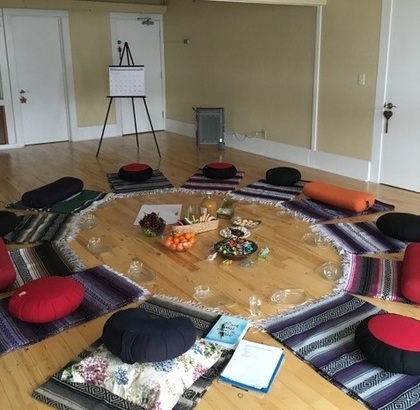 What began as a small group of women learning to circle, enact intentions and practice the power of vulnerability, in no time became a large group of women from all different backgrounds seeking a depth of Spiritual practice not offered by conventional means. You know the situation here at No Worries. The community wants more than I can possibly offer on the farm. Since you’re always conspiring for the greater good, let me know if you want me to continue and expand this work through a new a space. Should one become available, I promise I won’t hesitate or question. I’ll just jump. A Soul Center Circle. The Advisory Committee Meeting space, 2016. View more photos in the Photo Gallery! The journey is the destination and staying Soul Centered as we travel the calm and tumultuous is the practice. But that’s the thing. It takes practice.